The historic St. Francis Catholic Church located in downtown Bend’s west side was founded in 1910 when two Irish priests arrived in Bend, but only Father Luke Sheehan remained, traveling by horse to visit his new parishioners. The first church was an old school house bought in 1912 for $75 to which a hospital was added with the efforts of a group of nuns of the Order of St. Joseph. As the population grew a new church officially opened in 1920. 1936 saw the start of the Catholic School with an initial enrollment of 140 students, and by 1949 a new Rectory was built and is still being used today. The number of parishioners continued to increase, as did the need for a new school and offices so in 1992, 17 acres were selected on 27th Street, with work starting in 1997 on a new school, administrative offices, and a large community center. The old school was sold in the late 1990s, and McMenamins brewery chain took over the whole complex. 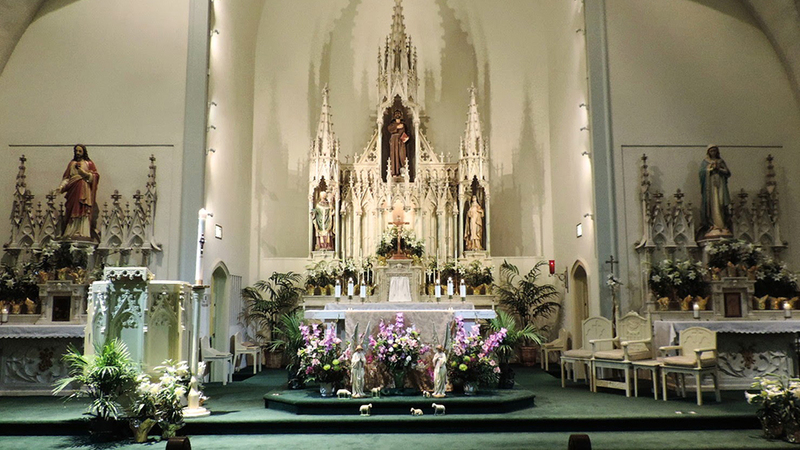 St. Francis Church looks forward to celebrating in 2020 the 100th Anniversary of the Historic Church, still operating downtown. Sunday Mass is held at 4:30 p.m. See the online schedule for a list of other services at both the historic and main church on Bend’s east side.